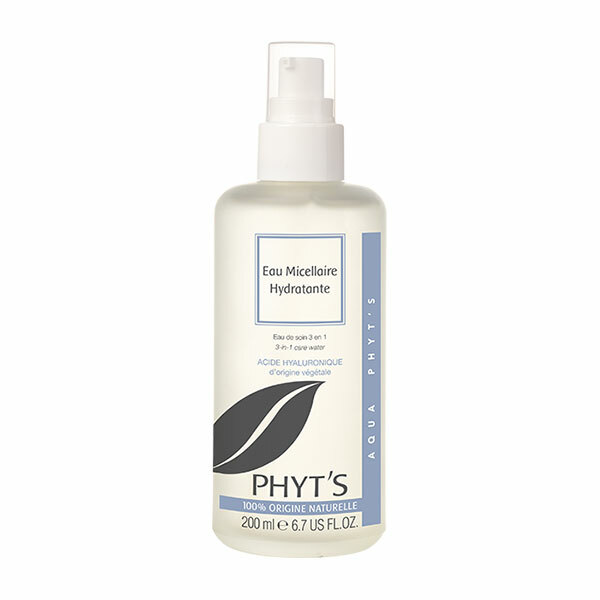 This water-soluble formula is ideal for skins that like to use water when cleansing the face. It removes surface impurities, dissolves make-up and rinses off like soap. The skin is left feeling fresh, soft and smooth, not dry or tight. Apply Lait Hydro-Nettoyant to a dry face and neck using a circular motion. Emulsify with water, rinse well and pat dry. Follow with Hydrolé d’Oranger or Hydrolé d’Eucalyptus facial toner to complete the cleansing process. Aqua/Water/Eau, Helianthus annuus (Sunflower) seed oil*, cetearyl alcohol, cocamidopropyl betaine, parfum (Fragrance), Cera alba*/Beeswax/Cire d’abeille, Glycerin, cetearyl glucoside, xanthan gum, Corylus avellana (Hazel) seed oil*, glyceryl caprylate, Citrus aurantium dulcis (Orange) peel oil*, Lavandula hybrida (Lavandin) oil*, Cymbopogon martini (Palmarosa) oil*, Chamomilla recutita (Matricaria) flower extract*, Spiraea ulmaria (Meadowsweet) flower extract*, Passiflora incarnata (Passion Flower) flower extract*, Panax ginseng (Ginseng) root extract*, citric acid, geraniol**, limonene**, linalool**.